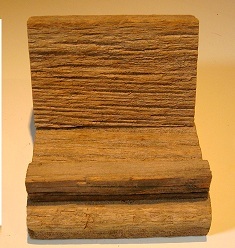 Barnwood is a rare item in many areas. With so many old barns being removed because of age and storm damage, it wont always be available. 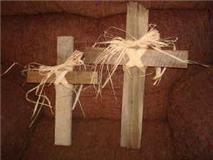 These Kentucky Barnwood items are not mass produced and when they are gone that is it, there will be no more of them. We also have the Scrappy Signs Collection by Rented Mule available too. This beautiful coat rack is made out of Kentucky Chestnut Barnwood. With 3 antique looking door knob style hooks that offer 2 additional hooks on each for a total of 9 hooks to help reduce clutter from coats and hats. This coat rack hangs horizontal and measures 34 inches long by 8 inches tall. This is a one of a kind Hnadcrafted item by Rented Mule. This is a good conversation piece for any business. This Business card holder is made from Kentucky Barnwood. By Rented Mule. Sit on a desk or counter or mount to a wall. Holds approx 50 or more business cards.